A couple of days ago I was browsing Instagram looking for some polish inspiration as I do a lot, when I saw a gorgeous swatch of an older Halloween polish. I took a screenshot and send it to my friend, telling her I needed to find this gorgeous polish and buy it! She replied promptly: "You already own it!" I checked my stash, she was right! 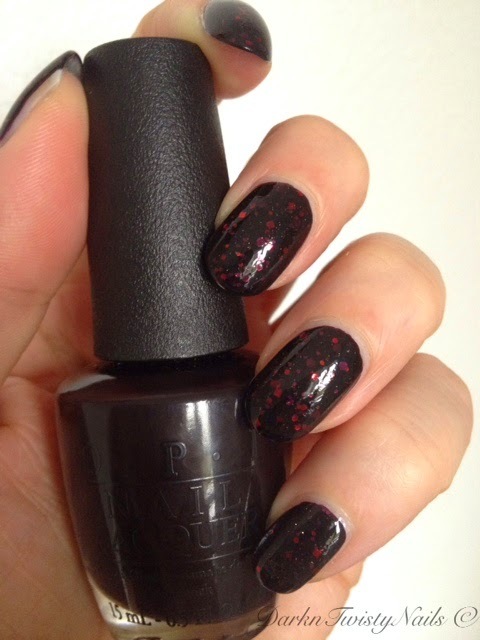 Dollish Polish Vampires Coven is a gorgeous black jelly base with a ton of red and purple glitter. There are hex and square glitter, in micro, small and medium sizes. The formula is really nice, no fishing needed and it applies smoothly. You could get this opaque on its own in about 3 coats, but I like to layer it over a dark polish, so I don't overpower my nails with glitter. In my pictures, I'm wearing it over OPI Lincoln Park after dark and I think it's a great combination. This is just 1 coat of Vampires Coven, if you want a bit more glitter, you can always go for 2. 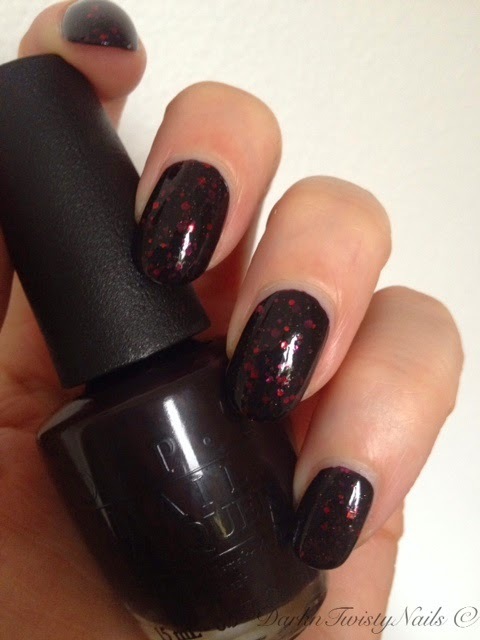 I love these kind of black jelly based polishes with red, vampy glitter. I own quite a lot (so much so, that I apparently forget that I own them...) and I keep buying more. They are just so stunning and a nice change from plain dark polish. 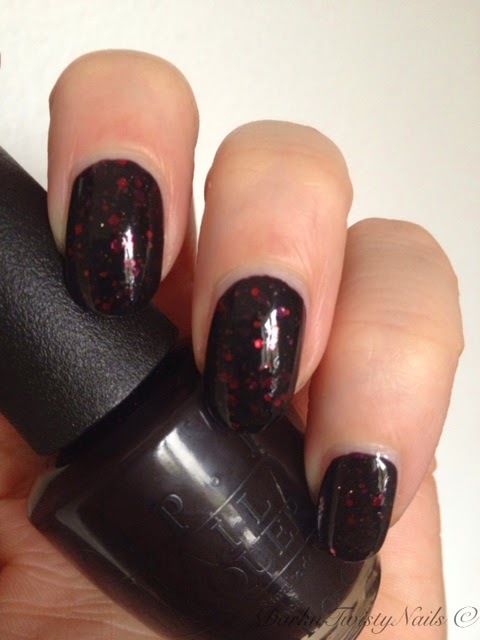 This one is gorgeous, I love the fact that it doesn't just have the red glitter, the pop of purple makes this different from all my other black jelly bases with red glitter polishes. This was first released as part of the This is Halloween 2012 collection and I don't think it's still available, but Dolly does have the nice tendency to rerelease discontinued polishes that people really loved (like she did with Walker Bait), so keep an eye out and you might just get lucky! Do you like dark jelly bases with glitter or do you prefer a lighter base?